Over my years as an educator, I have been inspired by many of the students I have taught. I have witnessed some of them facing the most horrific and heart-wrenching circumstances, yet they have risen and become incredible human-beings. I want to share a story about one of my students who is now an adult. 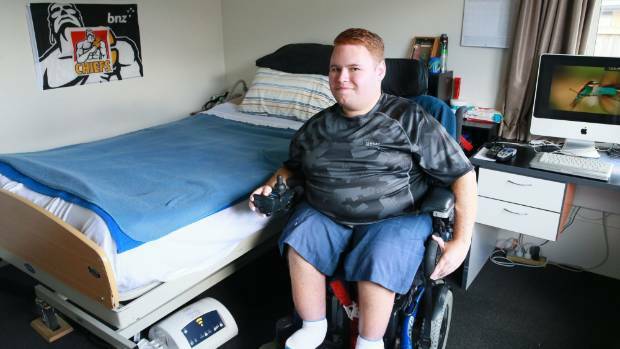 Mike (now 26), was diagnosed with Spinal Muscular Atrophy at age four and has lived most of his life in a wheelchair. Over his time at school as his mobility increasingly decreased, he also experienced an increase in frustration. This would sometimes result in emotional outbursts, which didn't help when it came to making friends. For years he battled both his illness and people's lack of understanding around it. Some 10 years later, I came across Mike again at a tertiary training institute where he was free-wheeling his way around campus to his next lecture. After a big hug, we began catching-up on what was happening in his life. What I heard almost brought me to tears. Mike excitedly told me about his studies, how he had become an ambassador for people with disabilities and was speaking at many major events. He was blossoming, despite the fact that his body was increasingly failing him. Mike is one example of many incredible people I have met who choose to overcome circumstance. At every point they have made the choice to step-up; to push beyond self-pity and circumstance and do something for themselves and their lives. What bothers me at times is that too often I hear people letting circumstance beat them. Worst still, I hear leaders doing this with their teams. "We can't afford it", "That's just the way it is", "It's out of our control", "We're battling against bureaucracy", "It can't be done". Carol Dweck speaks of a Growth Mindset we need to develop in order to overcome limiting beliefs. Angela-Lee Duckworth talks about Grit. ... I reckon it takes COURAGE. It takes courage to go-against the grain, it takes courage to move forward even when you are scared, and it takes courage to beat-the-odds. What circumstances are you allowing to limit yourself and/or your teams? What are you going to dare to believe and action? When are you going to get out of your own way??? "Go ahead Mary-Anne, ask the big questions, but where do I start?" I hear you thinking to yourself. What I have found to be really helpful is to pick just one small action and put my energies into that. Try not to overthink the action - just point to your list and do that one. It is the practice of action that creates more action and results, rather than what the action is. If you need a bit of a hand with this and would like a kind-hearted, kick-arse coach to walk alongside you, then please don't hesitate to contact me to chat through options. And to leave you with a snippet of Mike's story to whet your inspirational taste-buds, click here. Mike and his mischevious smile.